I realize I am late to the Zoya Pixie Dust party, but I am playing catch up here, and still want to share my swatches of collections that I realize are a little older now. 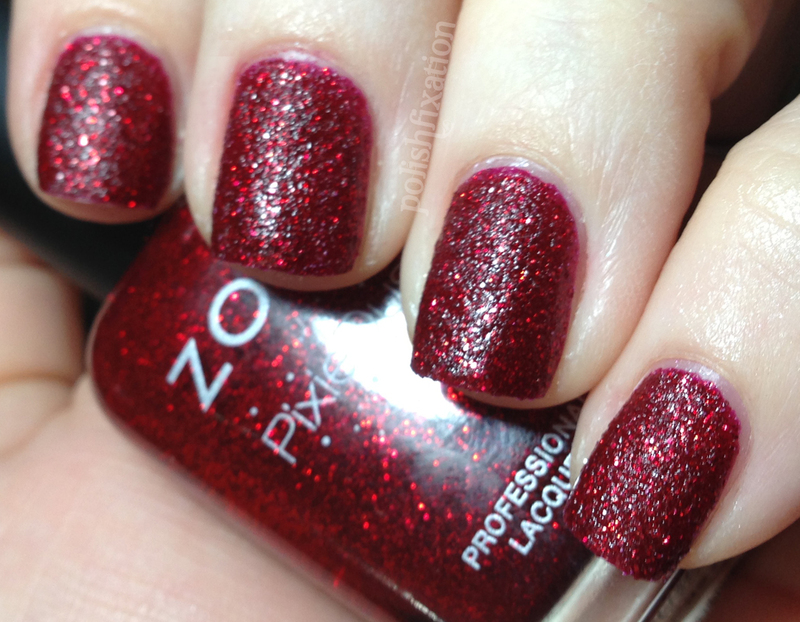 Zoya Pixie dust polishes are made with a special sparkle formula that dries with a sandy texture and matte finish. They can be worn as-is, or you can apply top coat for a super sparkly shine finish. These are great polishes, super pretty! The only one I didn't love was Godiva, mostly cause she blends right into my fair complexion and I get the "mannequin hands" look, which isn't very flattering to me. Do you like textured polishes? What do you think of these colors? The red one is gorgeous.